Planning a family holiday can be tricky, especially when each member is interested in different things. You want to go somewhere where you can bask in the fresh air and bright sun and hear roaring waves. Your children would rather play sports and go swimming, and your spouse is looking for long trails for bike riding. You’re left wondering if there is one place that has something to please everyone. Find the accommodation in Illawarra that does just that with Wollongong Surf Leisure Resort. We’re a surf leisure resort in New South Wales that has been bringing the finest in affordable holiday accommodation to Illawarra since 1985. We pride ourselves in giving you the ultimate getaway experience by offering holiday accommodation that’s clean, neat, and fully equipped with the latest technology. No matter your budget, there’s a comfortable accommodation waiting for you and your family. One thing you’ll love about our resort is the location. We’re close to Wollongong CBD, supermarkets, restaurants, shopping centres, and Wollongong hospital and university. We have a long stretch of beach for your early morning, afternoon, or evening stroll or any opportunity you find to enjoy the waters with your family. You can take comfort knowing that our beach has a surf lifesaver patrolling the coast to ensure parents and kids remain safe. The possibilities are virtually endless when it comes to how you and your family can spend your downtime. For sports fans, we offer basketball half courts, mini golf, an outdoor tennis court, and indoor table tennis. For nature-bound enthusiasts, we have lawns and gardens with trails perfect for bike riding and an indoor heated pool. For kids and those young at heart, we have modern and maintained playground equipment, including a jumping castle. If you just want to relax, we offer heated spa pools and a steam room. No matter how small or large your family is, our accommodation can provide you with a comfortable stay. Set your budget and choose from several options. Each accommodation is versatile and fully functional with Wi-Fi and LCD TVs, including Foxtel sports—fans never take a day off! 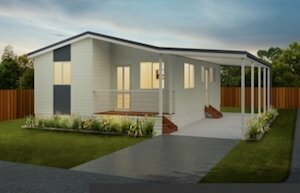 Depending on your preferences, stay in one- or two-bedroom terrace apartments or impressive bungalows, cabins, or open plan motel-style cabins. Each room is air-conditioned and decorative with well-kept furniture. Bring the family to our resort and leave the rest to us. Spend a day reading your favourite book at the beach while your children go on a picturesque bike ride with your spouse. End the day eating at popular restaurants or let us bring the finest in dining to you. Walk away with no regrets—other than not taking more time off work to extend your stay. Contact us today to plan your next family holiday. We’re open seven days per week from 8 am to 8:45 pm. Surprise your family and yourself with the most memorable vacation yet.